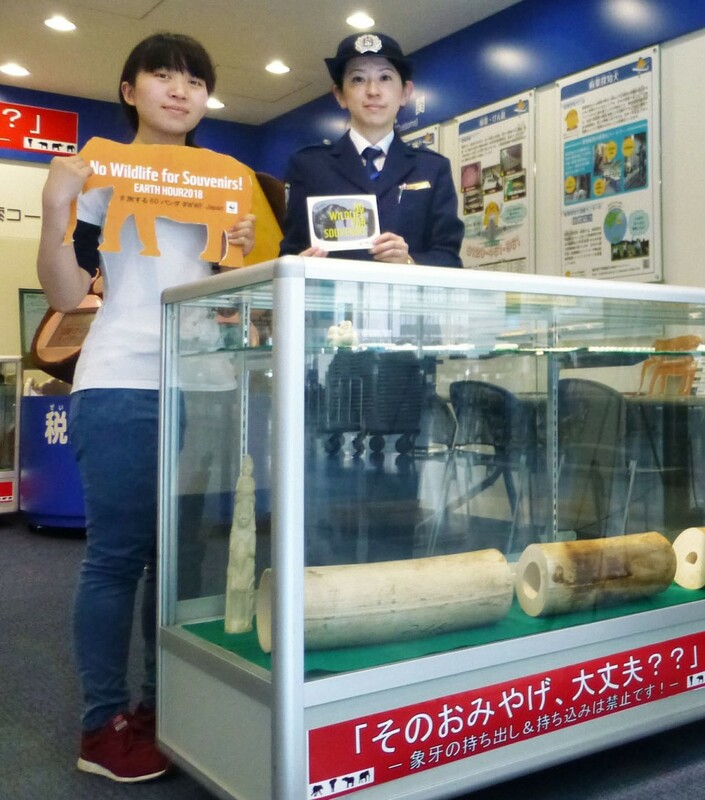 Tokyo Customs and the conservation group WWF Japan launched a campaign Friday to warn foreign visitors about traveling with souvenirs made from ivory, notifying them that it is illegal to depart with such products. Mascots representing both customs and WWF Japan handed out stickers in the departure lobby of Haneda airport in front of panels adorned with the question: “Are those souvenirs okay?” in Japanese and Chinese. A total of 2.4 tons of ivory products were illegally exported from Japan between 2011 and 2016, with much of it discovered as it was being carried into China, according to the group. “China is strengthening its crackdown on ivory imports,” a WWF official said. 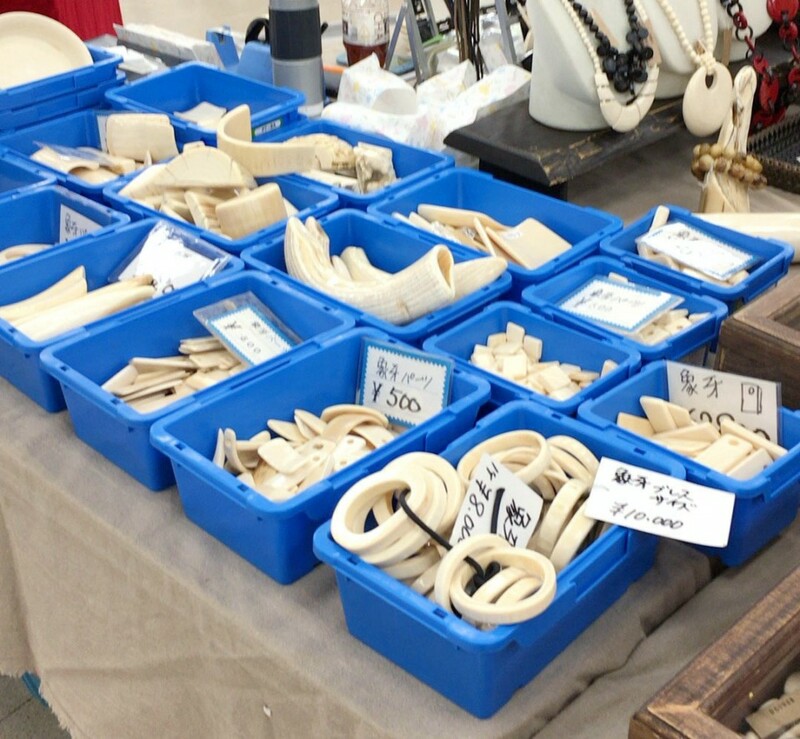 Undercover investigations by the conservation organization revealed more than 70 percent of 430 targeted antique shops in Japan told customers they can depart the country while carrying ivory products, according to WWF Japan. Japan has maintained a domestic ivory market, saying trading within the country is unrelated to poaching. But it imposed stricter rules last year, requiring ivory dealers to register with the government in the face of criticism that it is a hotbed of illegal ivory exports. The international ivory trade is banned under the Convention on International Trade in Endangered Species of Wild Fauna and Flora, or CITES, and Japan is a signatory to the agreement.